Starseed® Sacha Inchi is a super seed indigenous to the Amazon rainforest highlands. It has been consumed for over 3,000 years in Peru and through the Pre-Inca and Inca Empire for its great taste and unmatched nutrition. Pre-Columbian ceramic figures showing the importance and significance of Sacha Inchi have been found in tombs of Pre-Inca cultures such as Chimu and Mochica that date back 3,000 - 5,000 years. The Pre-Inca and Inca Empires understood the uniqueness of this powerful superfood and even though it only grew in remote communities of Amazon rainforest highlands, they made sure to make it available through chasqui runners that transported Sacha Inchi seeds through the hundreds of Inca and pre Inca trails throughout the Amazonian and Andean ranges of Peru. Sacha Inchi was valued for its ability to nourish native communities for centuries, providing the fuel and focus needed to help build Machu Picchu and the Inca Empire that spread throughout most of South America. 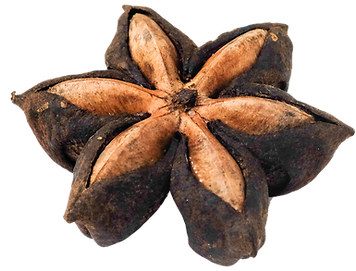 Now we have been able to further study Sacha Inchi and identify it as a powerhouse of healthy Fats, Omega 3 fatty acids, Antioxidants, complete Protein and Fiber. Sacha Inchi remains a secret no more and we are now bringing Starseed® directly to you!